Start your The Hartford Windshield Replacement Online Claim Today! Glas Tek is a proud approved Hartford windshield replacement and auto glass repair mobile service shop. We make filing Hartford windshield replacement or auto glass repair claims fast and easy! We honor Hartford’s contract pricing so that you never have to worry about out-of-pocket costs or if your insurance company is being up-charged. In fact, we are on the Hartford’s approved vendors list for auto glass repair and replacement. In addition, we will pay you up to $150 CASH (on the spot) with any approved Hartford windshield replacement insurance claim. If you carry full glass coverage on your policy then it would qualify for this up to $150 CASH BACK offer. Or, we will waive up to $150 of your comprehensive insurance deductible. Along, with our “preferred” status, The Hartford also backs our nationwide lifetime warranty so that you can be confident that you have chosen an honest and reliable auto glass repair shop. Furthermore, filing a Hartford windshield replacement or auto glass claim will not increase your monthly premiums, auto glass replacement and repairs are considered no fault claims and therefore do not affect insurance rates. If you carry the auto glass waiver or endorsement on your comprehensive insurance policy Glas Tek will bring you up to $150 CASH (at the time of service) with any Hartford windshield replacement claims. Or, we will waive up to $150 of your comprehensive deductible. No worries, we do not up-charge your insurance company and we are an approved auto glass repair shop for The Hartford. We honor all contract pricing so that you will never be charged any additional fees. Filing a Hartford windshield replacement claims are simple with Glas Tek. Just call Glas Tek and one of our representative will walk you through the entire process. In most, cases the claim call only takes 10-15 minutes and you can be scheduled for same day service. We come to you for free anywhere in the Phoenix metro market including: Phoenix, Mesa, Tempe, Peoria, Sun City, Surprise, and Scottsdale. The Hartford uses an independent administrator, named LYNX, to process all auto glass and windshield replacement claims on its’ behalf. As a ‘Preferred Participant’ in The Hartford windshield replacement glass program, Glas Tek has all its’ work guaranteed by The Hartford nationwide. Glas Tek has served customers across Arizona for more than ten years, and the company owner has over two decades of experience in the auto glass industry. The company’s expert auto glass repair staff will ensure that each job is carried out properly, at the first time of asking. Furthermore, Glas Tek bills the The Hartford based on contract and approval guidelines, so you and your insurance company will never pay any additional supplementary fees. Presently, The Hartford requires policyholders to speak to an operator on the telephone to report all windshield replacement or auto glass repair claims. Glas Tek will connect you with The Hartford and help you set up your claim. The Hartford will need to ask you a range of questions to open your auto glass repair claim. After your claim is submitted, The Hartford, will verify the coverage, then authorize Glas Tek to carry out the work. Listed below are the questions you will need to answer when you speak to a Hartford representative on the telephone. Usually, this process will not take any longer than 10-15 minutes. Glas Tek will answer all your questions and concerns before the claim filing begins. Visit auto glass insurance FAQ’s or auto glass repair program page for more information on insurance claims. The Hartford will waive any comprehensive deductible for windshield chip repairs. So if you carry $100 comprehensive deductible even without the auto glass waiver, The Hartford will waive the entire $100 deductible and pay for your windshield repair in full. This is great benefit to you and your insurance company alike. Windshield chip repairs are less time consuming then full windshield replacements, cost less, and keep the original factory seal intact. However, windshield chip repairs DO NOT disappear upon completion unlike advertisers lead you to believe. They make clear up to 80% but no two windshield chip repairs will come out similar. There are many factors that determine the outcome of a windshield repair including size of break, location of the break on your windshield, type of break (bullseye, star, combination, etc.) and how long the break has been there. 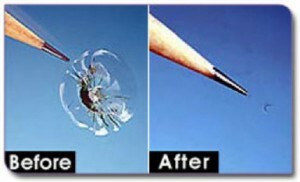 A successful windshield repair will only keep the break from spreading from the point of impact. There is a minimal risk to performing a chip repair that you need to be aware of. When performing a windshield chip repair the technician must apply pressure to the area and it can sometimes break out during the process. However, it is better to try to save the windshield then not, either way it would eventually spread. Visit our windshield repair FAQ’s and windshield repair process page for more information on chip repairs. If for any reason you are unhappy with your windshield chip repair, The Hartford will approve for a full windshield replacement. If you carry a deductible you will then be required to pay that deductible. Full windshield replacements typically cost about $200 on average and Glas Tek has very competitive prices and offer auto glass discounts including military and senior discounts. Get an auto glass repair price online now! Can you tell me your first and last name? Has anything else on your car been damaged, apart from the glass? Can you provide me with your telephone number, complete with area code? Do you have any additional telephone numbers you can provide? Do you have an email address we can use to send you the details of your claim? Can you give me your Hartford policy reference number? Can I assist you with anything further? Many thanks for contacting Hartford Glass Services, we trust you will have a good day. Now, the representative will disconnect the call, and the representative from Glas Tek will arrange an appointment at a convenient time. Furthermore, if you purchase full coverage for your auto glass, and we are doing a windshield replacement, we will give you fifty dollars in cash when we perform the work. In the majority of states, car insurance is legally required. Happily, car owners have a broad range of choices, as far as selecting an insurance provider goes. The Hartford has forged a reputation as an industry leader, in providing comprehensive auto insurance to customers. The Hartford offers many auto insurance features, which are specifically geared towards their clientele. For instance, RecoverCare benefits are provided with insurance policies. In the event that the policy holder is badly wounded in a road accident, the company will cover the cost of hiring someone to help him/her with cleaning, cooking and other daily chores. Better still, The Hartford provides an exclusive no drop pledge to its’ customers, which has found favor with many motorists. After a person signs up to a Hartford insurance policy, he/she will never be without cover, providing a few basic requirements are satisfied. This company will not remove coverage all of a sudden, just because a customer happens to incur a few costs. This gives policyholders peace of mind. Apart from these special advantages, The Hartford provides the same types of cover that other insurance firms provide. It fulfills the minimum requirements enforced in most states, and surpasses them in lots of notable ways. Examples of the cover offered are comprehensive, property damage and collision policies. Moreover, it offers the vital under-insured motorist and uninsured motorist policies, which have become extremely popular. Hartford customers can also include certain special policies with their cover, such as labor and towing policies and full glass cover. These are the sorts of things that most otherwise well insured customers forget about, until they are faced with a situation when they need it. Hartford representatives are trained to inform customers about these important policies. Obscured driver vision, due to cracks and chips in windshields, is a major cause of road accidents. The safety of your family, yourself and other drivers is dependent on you having a clear view of the road in front of you. This is why you should regard auto glass repair or replacement as a top priority. 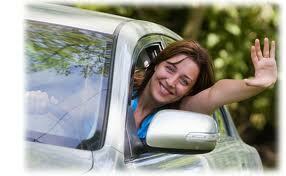 For further details about auto insurance from Hartford, please refer to the company website. On this website, each policy and feature is described in depth, and you can even sign up online if you prefer.